Repair furniture at home is a difficult task, but doable. On the one hand, specialist furniture is guaranteed to fix a broken sofa. But on the other hand, the overall delivery of the furniture to the repair shop - a very troublesome and expensive task. With a strong desire to repair the sofa at home on their own. Before you begin to repair, prepare the necessary space. To repair happened quickly and efficiently, prepare all the necessary tools and a set of new springs to replace. Remove the rug or carpet, put a thick and dense film to protect the flooring from accidental fall of a heavy tool or item of the design of the sofa. Start disassembly of the sofa with detaching sidewalls. Wrench Unscrew the mounting, possibly holding them from free fall. Any convenient way to label the parts of the folding cushion of the planes on the right and left in order after repair to collect them in the correct order. Disassemble the mechanisms. Continue disassembly of the sofa, alternately disengaging the seat back. If you have the pallet, you need to dismantle it. To remove the covers, use a pair of pliers and pull the bracket. Avoid strong jerks, try to do everything carefully. Otherwise, you can damage or even rip the fabric covers. Proceed to repair the spring box, pre-pulling the mattress. Take a damp cloth to remove dust and wood chips, which are usually present in abundance at the site of attachment of the spring unit to the bottom of the sofa. Test all sofa springs. This can be done without dismantling, but experts still recommended to pull out the entire unit and to determine the suitability for further use each spring separately. A broken spring will remove it with pliers. Installing new, use furniture foam and dense old blanket for greater elasticity of the spring unit and increases the operating life. 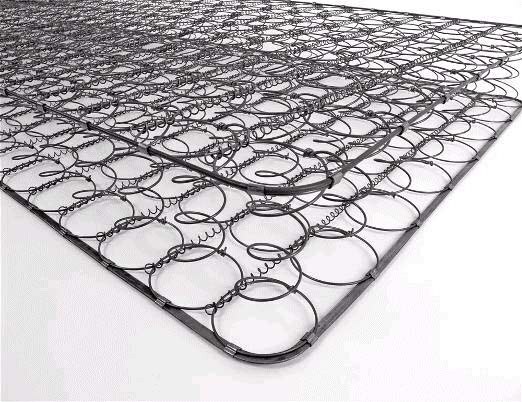 To do this, take a knife, cut the foam and stuff them spring unit, and then cover with a blanket and secure it around the perimeter with a hammer and 30-40 mm nails so that the blanket was as close as possible and collected the springs, not allowing them to fall in different directions. This removes the main cause of breakage or excessive stretching of the cushion springs - their asynchronous work.